In 2012, as an undergraduate student in Engineering (Robotics and Mechatronics), Jay Manley led the University’s inaugural solar car team in the prestigious World Solar Car Challenge. Starting with just $500 and the support of two fellow students, Jay grew the team to more than 20 students with a budget of $300,000 by the time race day came around. That same determination to succeed has taken Jay from Western Sydney to Silicon Valley for a dream job as an Engineering Project Manager for Tesla Motors. Under the leadership of its CEO, Elon Musk, the innovative electric car manufacturer has earned a reputation for its disruptive technologies in the renewable energy industry in the same way Steve Jobs did with the computer industry. Before joining Tesla, Jay worked as a Project Support Officer in the School of Computing Engineering and Mathematics at Western Sydney University, where he said that leading the University’s solar car team provided him with an international network of contacts. “Working on the solar car team gave me the skills and confidence to chase a career in the world’s most competitive market for engineers. I’m grateful for the support and encouragement that the University provided. In putting their faith in me as a student to initiate a challenging project that came with enormous risk, but also the potential to be a great learning opportunity, they made my resume more attractive for the role at Tesla Motors,” Jay said. Our students and alumni are part of our global community of leaders and change-makers. Share your story here. There's a world of unlimited potential awaiting you, but if you don't know where to start just answer a few quick questions and we'll make some career suggestions to set you on the path to success. In 1985, the Sudanese government began destroying villages eventually leading to the rise of the People's Liberation Army. Two years later, six-year old Deng Thiak Adut was taken away from his family's banana farm in South Sudan and conscripted into the Army. After undergoing military training, several years of army service and witnessing numerous atrocities, Deng was still a boy when he was shot in the back while running through a village. A further two years later, a chance meeting led to Deng reuniting with his brother who helped smuggle him out of the country by hiding him in a corn sack on the back of a truck. The two brothers befriended an Australian family and eventually arrived as refugees in 1998. After working at a local service station to learn English, Deng enrolled at TAFE and completed his Advanced Diploma in Accounting before deciding to study law. In 2005 he enrolled in a Bachelor of Laws at Western Sydney University and became the first person in his family to graduate with a law degree. Deng now works as a lawyer in Blacktown, where he is determined to ensure that other Sudanese refugees have the legal advice and support they need before entering the court system. 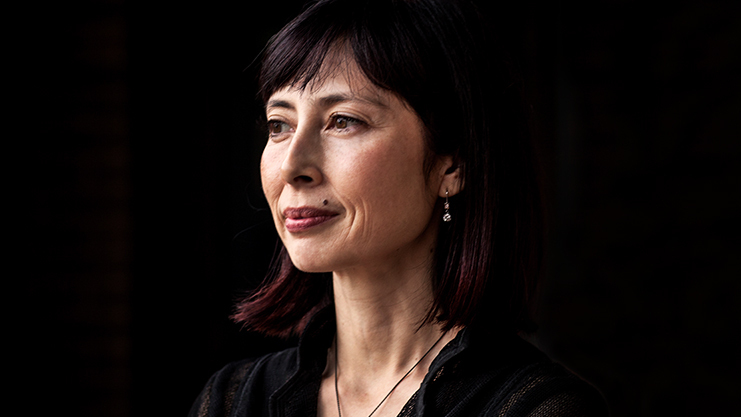 Museum director, curator and author, Melissa Chiu is recognised as one of the world's leading authorities on modern and contemporary Asian art. After graduating with a Bachelor of Arts from Western Sydney University, Melissa lived in New York for 13 years, where she ran the Asia Society and was Vice President of its Global Arts Programs. She is now the Director of the Hirshhorn Museum and Sculpture Garden in Washington, DC. As a specialist in connecting artists and museums in the Asia-Pacific region with international institutions, Melissa embodies the global mindset and connectivity that Western Sydney University holds true. Melissa is also the author of several books on Chinese contemporary art, a board member of the Association of Art Museum Directors, the American Alliance of Museums and the Museum Association of New York. She is a also on the founding Advisory committee for the USC American Academy in China and has participated in the advisory committees for the Gwangju and Shanghai Biennales.